Fortifier – Montag Manufacturing, Inc. 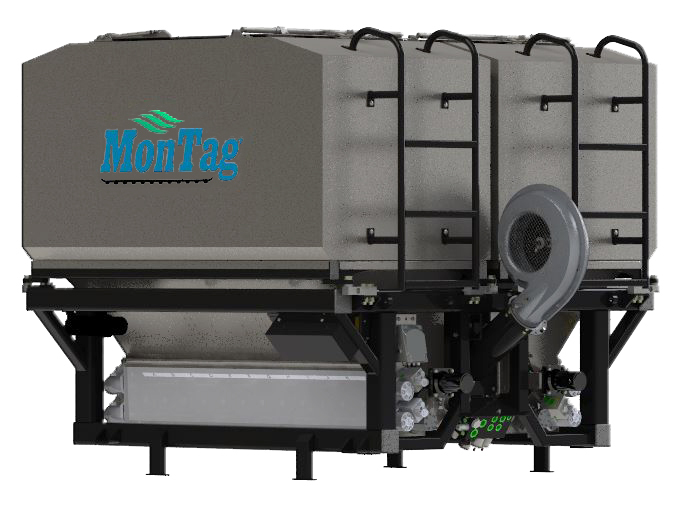 When Montag decided to enter the Cover Crop market we knew we had the core product to meet growers’ needs. With thousands of acres behind the Generation 2 delivery system we had just the platform to build off of and with a partnership with Hagie Manufacturing we started from the ground up and designed a machine to fit the STS10 and STS12 platform. 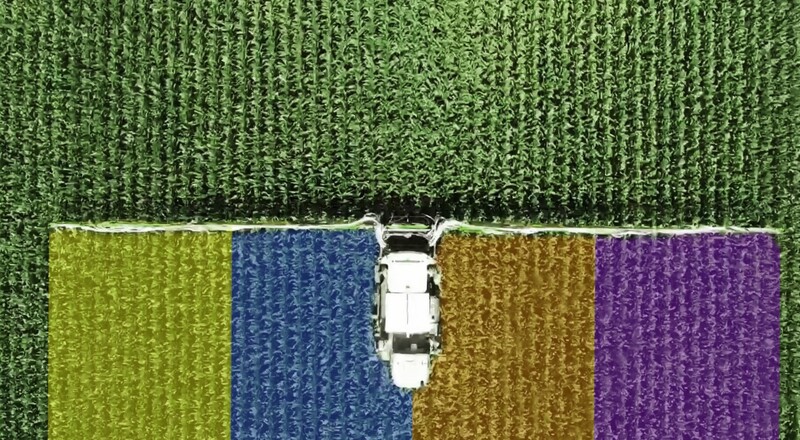 We started with a new 12 row base and twin bin design, industry leading capacity, 120’ Hybrid boom and 90’ boom, integrated scales, ISOBUS rate control, and row to row accuracy unmatched in the industry. 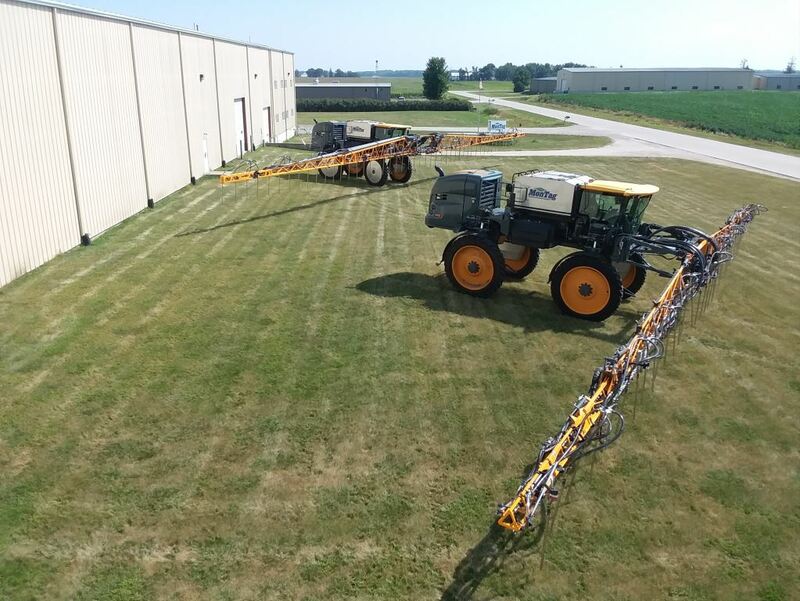 Developed in close collaboration between Hagie and Montag, this solution is truly an integrated product, that benefits from a close and open communication between industry leaders. No added cost to upgrade the hydraulic pump/system on the Hagie, unlike other competing brands. 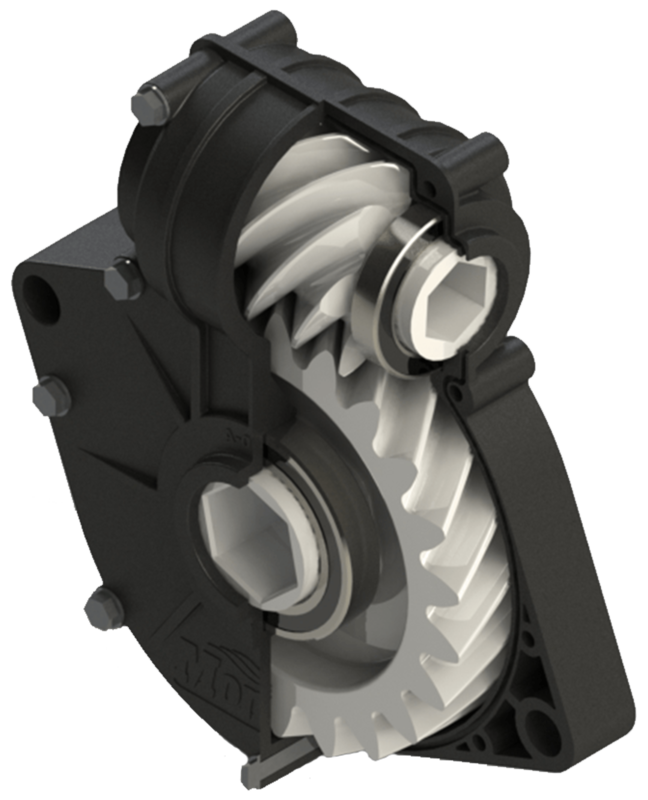 Reduces hydraulic requirements, allowing for more options for grower. Tank is sealed to maintain air pressure between bins for greater row to row accuracy. 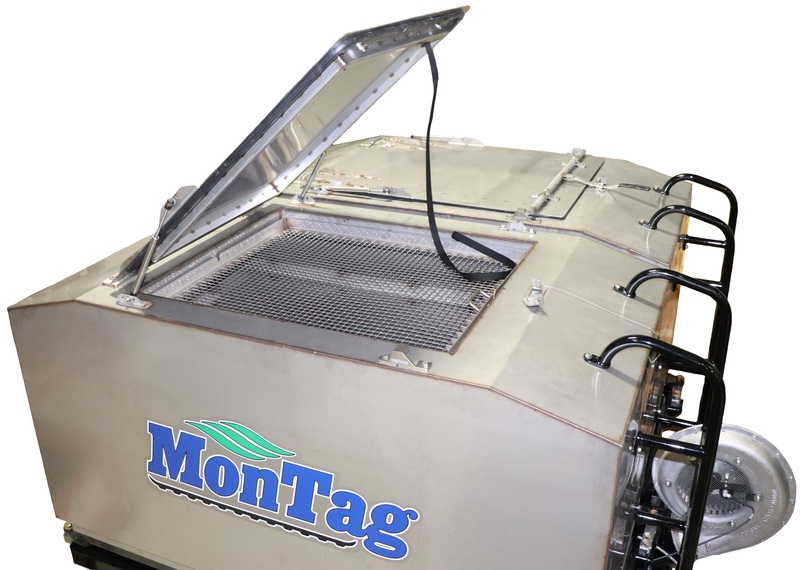 Simple yet rugged designed tank & lid seal, using automotive rubber gasket. Specifically developed to operate Fortifier system with full functionality. Compatible with John Deere and Raven task controllers installed on the Hagie platform. 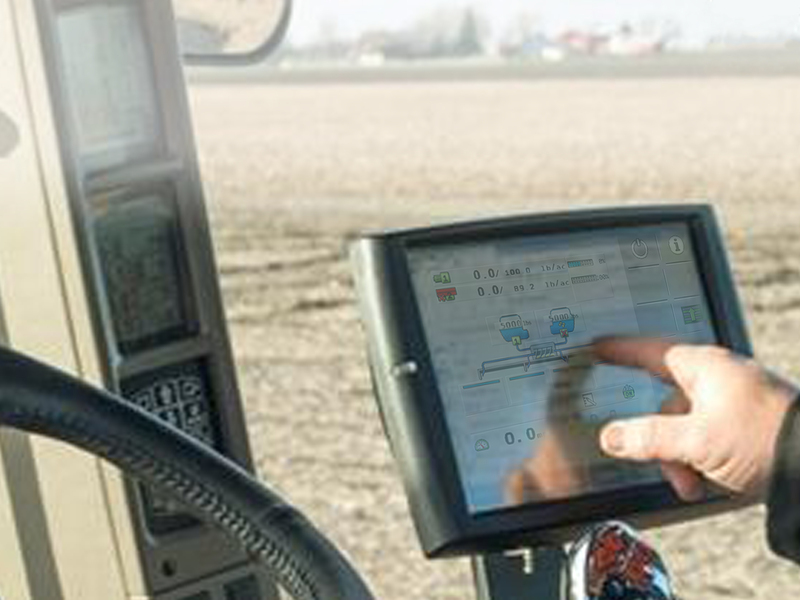 Ag Leader systems installed on the Hagie platform do not offer full functionality – Contact Montag representative to discuss compatibility if using a task controller other than John Deere or Raven. Fortifiers come standard with each tank being mounted to the frame with an ISOBUS scale. 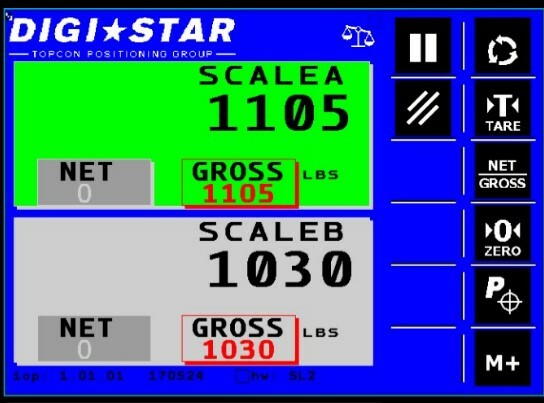 ISOBUS scales are integrated into the Montag ISOBUS rate controller. 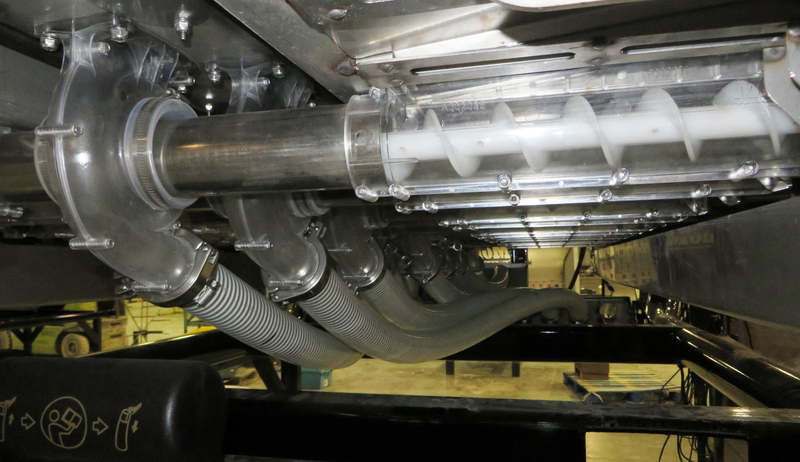 Fortifier air system is streamlined to improve aerodynamics and reduce horsepower requirements. 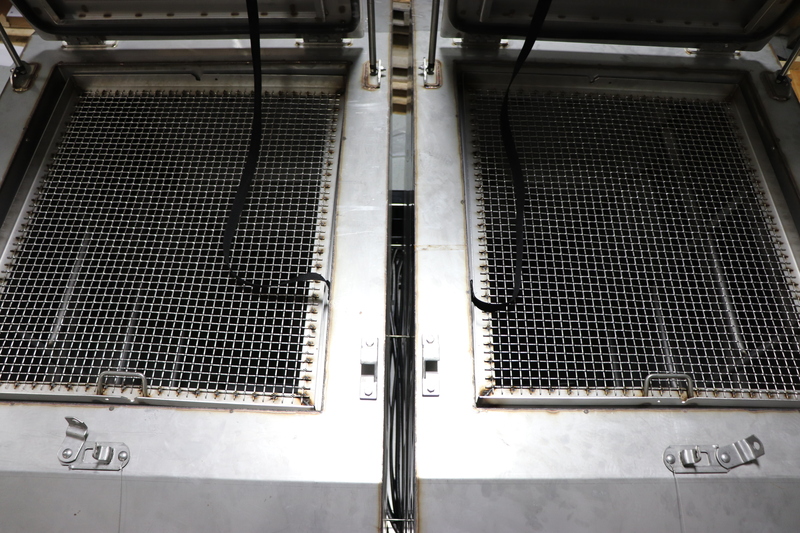 Fertilizer is introduced into the air stream at the air chamber requiring less pressure to move it to the row. Any component that comes in direct contact with fertilizer is either stainless steel or plastic. Components outside the tank (such as Valves / Weigh bars / Elec. 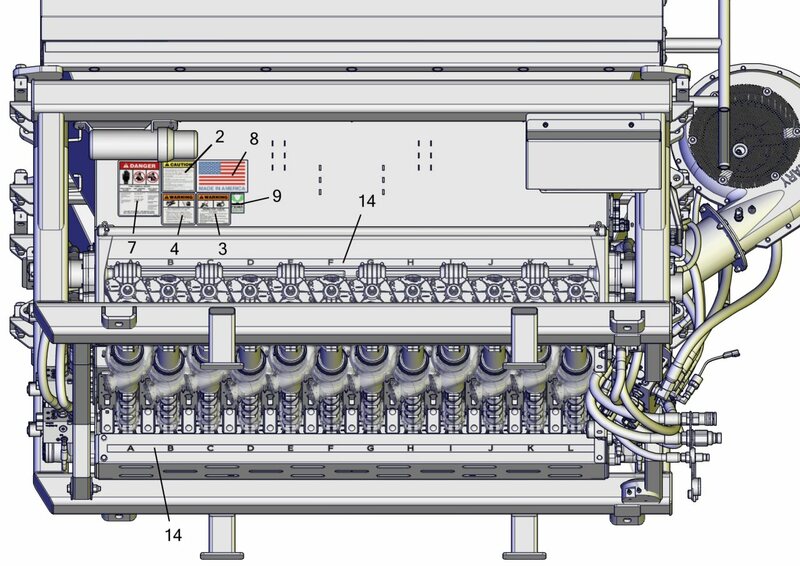 Harnessing) are all selected with our corrosive environment in mind for in field reliability. The Fortifier comes with two 77 cubic foot tanks for a total of 154 cubic feet. Maximizing the available capacity on the STS10 and STS12 while still staying within the transport window. 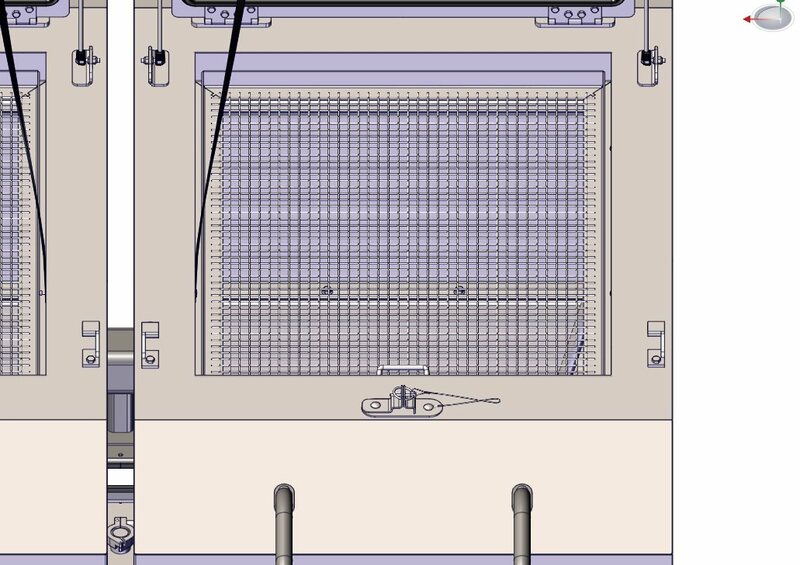 Each tank opening is fitted with a large stainless-steel screen (36” x 30”) to remove debris in seed and fertilizer while filling the tanks. 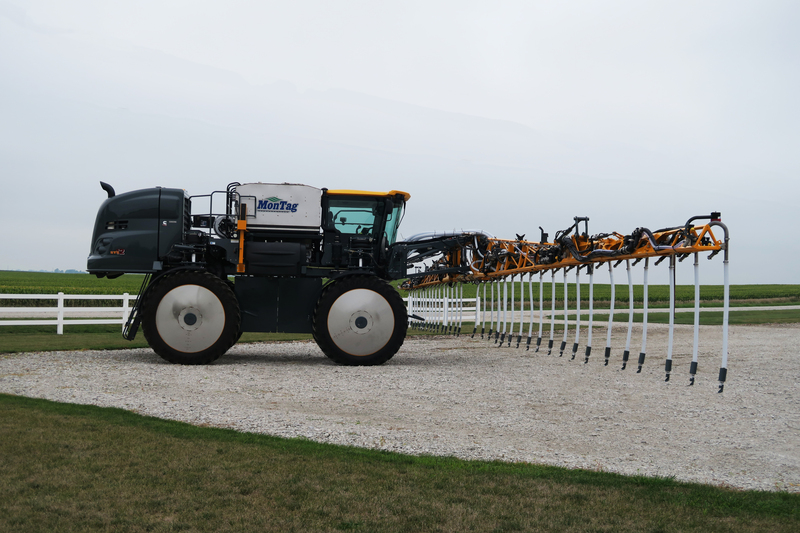 The Hagie 120’ Hybrid boom has 49 drops to apply cover crops or fertilizer in between the row. Drops place the seed or fertilizer under the canopy for more accurate distribution and to avoid getting product in the corn leaves. 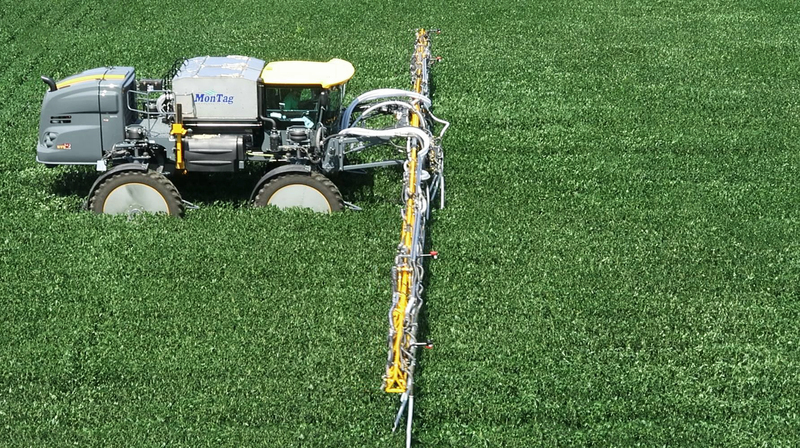 The Hagie 90’ boom has 37 drops to apply cover crops or fertilizer in between the row. 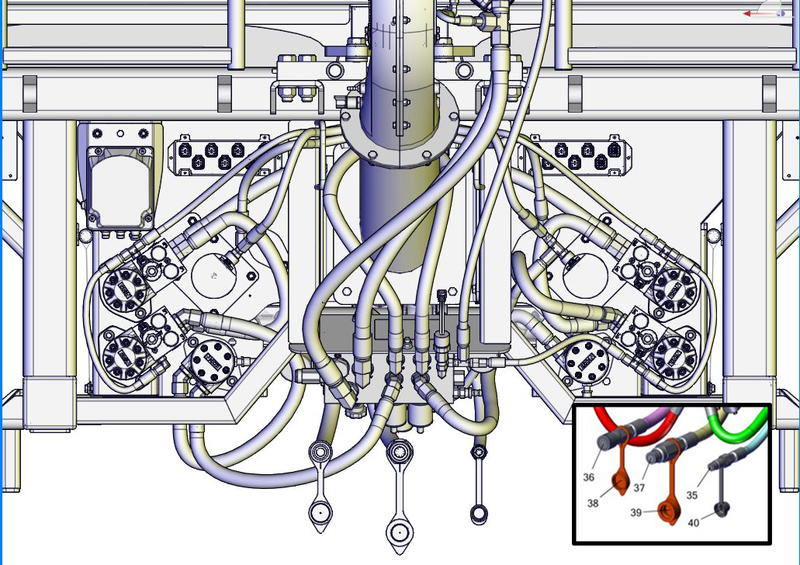 Allows the user to put the same product in both tanks and run a single product application. 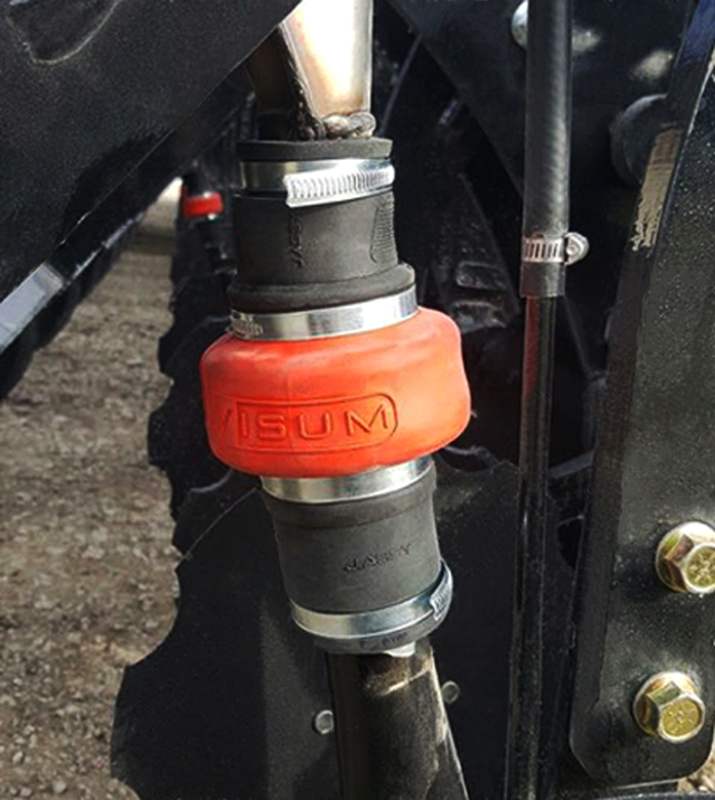 Once the boom kit is installed on the machine, one can simply remove the drops and switch tanks, hook up the liquid and hydraulic ports and be ready to go to the field. Very accurate metering with large rate range (8lbs. – 50lbs. per tank). See capacity chart under “Specifications” tab for details. No need to change metering drive for full rate range – unlike other competing brands. 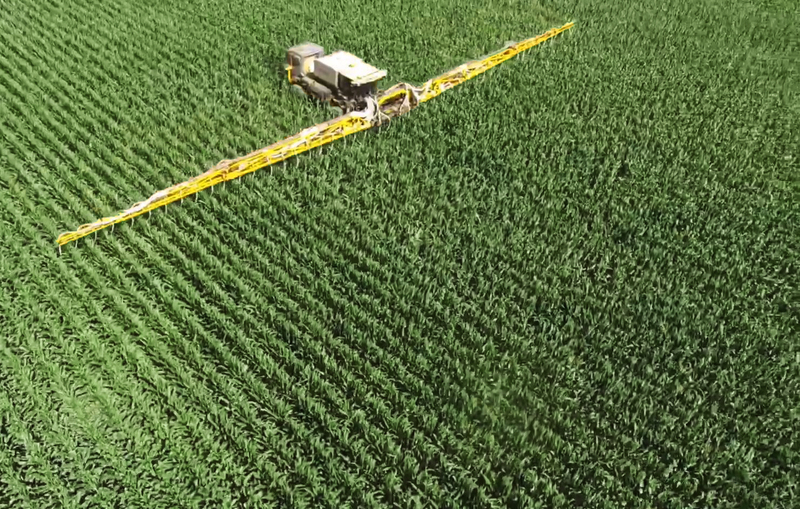 The 120’ hybrid boom is configured with 4 sections that when operated with a task controller and section control unlock allows for greater application efficiency. The 90’ boom is configured with 3 sections that when operated with a task controller and section control unlock allows for greater application efficiency.